President Barack Obama walks to Marine One as he departs the White House in Washington, D.C., on July 27, 2016, on his way to speak at the Democratic National Convention in Philadelphia. 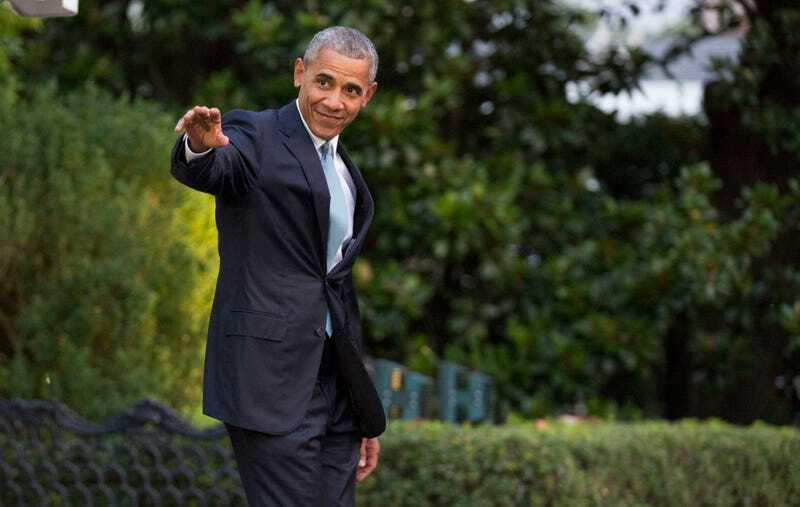 President Barack Obama has reportedly checked off one more item on his leaving-the-White House to-do list, having made the decision as to where the Obama presidential library will be located, the Washington Post reports. A source familiar with the decision, but who asked the Post for anonymity because it has not yet been formally announced, told the Washington Post that the first couple has selected Jackson Park on Chicago's South Side to be the home of the future library. As the Post notes, University of Chicago officials had suggested either Jackson Park or Washington Park, both being historic areas designed by Frederick Law Olmsted and Calvert Vaux. Chicago officials are hoping that the library, which is not scheduled to open for several years, will help breathe new life into the region, which still suffers from poverty and gun violence. Jackson Park, the Post notes, on the east side of the University of Chicago campus, is not as impoverished as Washington Park and is closer to a neighborhood in economic transition. Officials with the Obama Foundation, which is in charge of designing and constructing the library, did not respond to a request for comment on the decision. However, the source told the Post, the formal announcement is to come in the next several days.